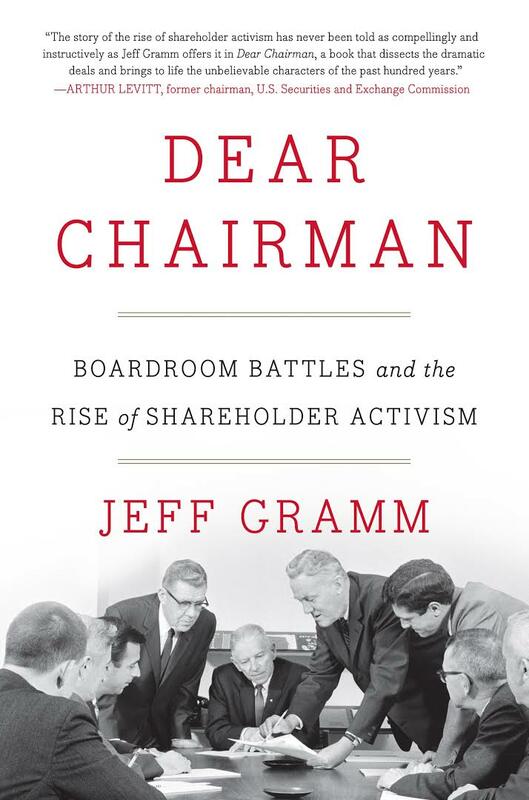 Jeff Gramm, hedge fund manager, adjunct professor at Columbia B-School, and author of Dear Chairman: Boardroom Battles and the Rise of Shareholder Activism, traces the rise in shareholder activism from the 1920s to today, and provides an invaluable and unprecedented perspective on what it means to be a public company, including how they work and who is really in control. He will be joined for a fireside chat with Rodolfo Araujo, CFA, VP on ISS’s Special Situations Research, which covers contested economic proposals and fights for corporate control. He previously was a buy-side equity analyst at Sands Capital and at INCA Investments, where he built a successful track record investing in domestic and international markets. Prior to that, he was an entrepreneur in Brazil. He has a B.A. in Communications from Catholic University of Salvador, an M.A. in Marketing from ESPM in Sao Paulo, and an MBA from The Tuck School of Business at Dartmouth College.